"A very nice lady from a great family. She will be missed." CHELSEA - Jeanne Roberta (Hamilton) Payson passed away on Jan. 30, 2019 in Portland.Jeanne was born to Robert and Fanny (Salisbury) Hamilton on Nov. 9, 1931 in Portland. 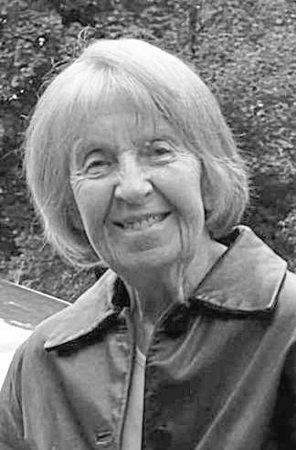 She graduated from Falmouth High School in 1950. After graduating, she attended Portland School of Fine and Applied Arts (now MECCA) and earned a two year Associates Degree in commercial art. Shortly before graduating, she met Norman Payson of Southport and they were married a year later. After moving to Augusta in the early 1950s, she started a home based business doing alterations and tailoring and she continued to do so for the rest of her life. She had a few part time jobs over the years including H&R Block during tax season. Jeanne was a private contractor sewing for the Maine State Police and was a proud and dedicated employee of Old Fort Western in Augusta for over 18 years, where she worked as an historical interpreter and seamstress – designing and sewing Colonial period costumes for the staff at the fort.Jeanne was a charter member of the Kennebec Valley Art Association (established in 1958) and was also a member of Altrusa International District 1 in the 1970s and early 1980s.Jeanne was proud of her Scots-English heritage and was very pleased when she discovered that she was a direct descendant of George Soule, who arrived in America on the Mayflower in 1620.She was a truly gifted artist and won awards for her watercolors. She enjoyed playing the piano, was a lover of history and poetry, and was an avid reader. 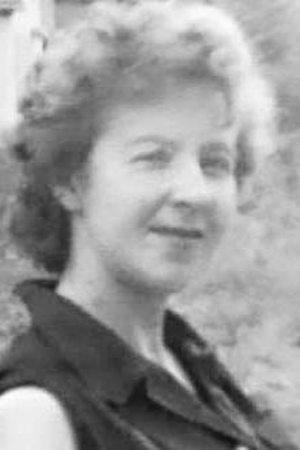 In later years, she became a lover of all things Harry Potter.Jeanne was an animal lover from an early age and was rarely without a cat and dog. Of all of her animals, it was her horses that she loved above all else. She was an accomplished equestrian and competed in local horse shows as well as riding in the 4th of July parade in Augusta for many years.Jeanne was predeceased by her husband Norman Warren Payson, sisters Jeanette Hamilton and Patty Tipsword, and brother Philip Hamilton. In 1982, she suffered the greatest loss any parent could experience when her son Brian Norman Payson died at the age of 26 in an automobile accident.Jeanne is survived by her seven children Dale Payson (Honolulu, Hawaii), Mary Linneken (Coral Springs, Fla.), Robert Payson and wife Kathy (Randolph), Beth Payson and fiancé George Libby (Portland), Alan Payson and wife Janet (Boca Raton, Fla.), Norman Payson Jr. (Coral Springs, Fla.), and Andrew and wife Melissa (Southport); seven grandchildren Whitney Payson, Brian Janson, Lauren Janson, Marek Lam, Kyle Payson, Cameron Payson and Candace Raines.She is also survived by brother Robert Hamilton and wife Claire, sister-in-law Glennis Toothaker; as well as several nieces, nephews, and her dear friend Donna Porter.Jeanne had the gift of gab, a quick wit, a big heart, and she retained her sarcastic sense of humor until the end. She died as she lived – on her own terms.There will be no formal service. A celebration of life will be held at her beloved "Old yellow House" in the spring.Please visit www.advantageportland.com to sign Jeanne's guestbook and leave memories and condolences for the family.In lieu of flowers, please consider donating to the:Kennebec ValleyHumane SocietyAugusta, Mainein memory ofJeanne Payson.